Matthew continues to be a poorly behaved hurricane in that it continues meander when compared to the forecast models attempting to project its path. 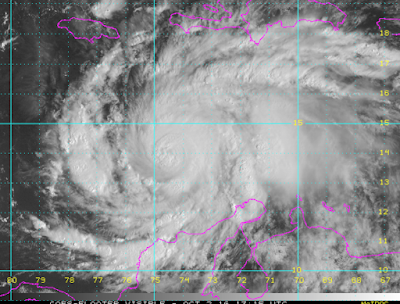 In addition, while still a major hurricane, the storm has weakened a bit the last few hours. 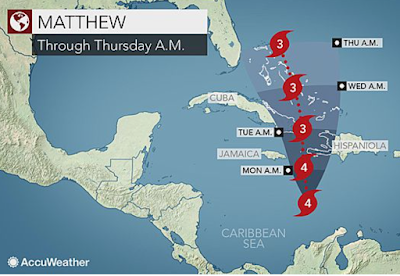 Assuming it resumes moving along the forecasted path, southwest Haiti will feel the strongest effects of Matthew tomorrow. This includes a high storm surge, flooding rains and, of course, high winds. 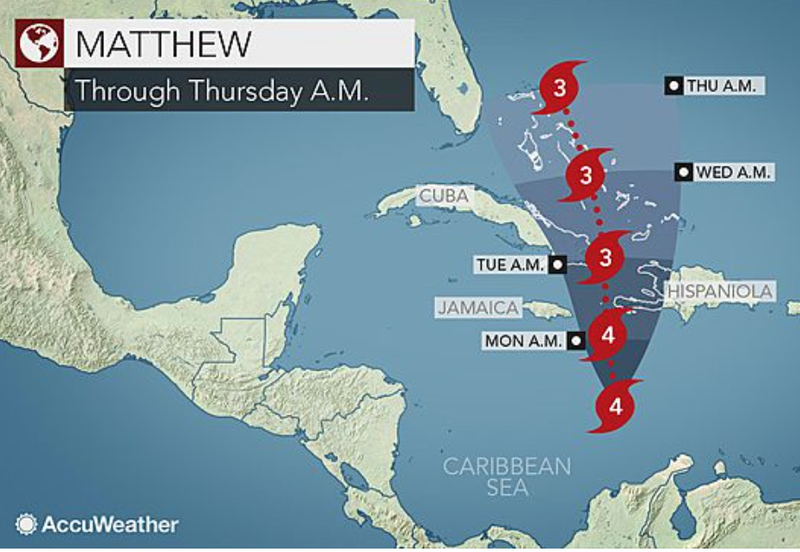 The forecast track has Matthew largely "shooting the gap" between the islands. Assuming that occurs, it will pass Cuba with winds of more than 100 mph, perhaps as high as 120 mph. A hurricane watch is out for the Turks & Caicos Islands and the Bahamas will almost certainly be affected next. The extended range computer models have become slightly more pessimistic as far as the United States is concerned. So, I would advice people along the Atlantic coast to closely monitor future forecasts on this storm. If you have ever wanted a generator, and you live in the Middle Atlantic region (where there would be time to get one installed), this might not be a bad time to move forward. As I suggested yesterday, if you have an infirm relative, it is time to make a plan as to how you would handle a hurricane warning. Otherwise, I don't believe people in the coastal United States need to take any other measures at this time. I will provide continued forecasts without hype.